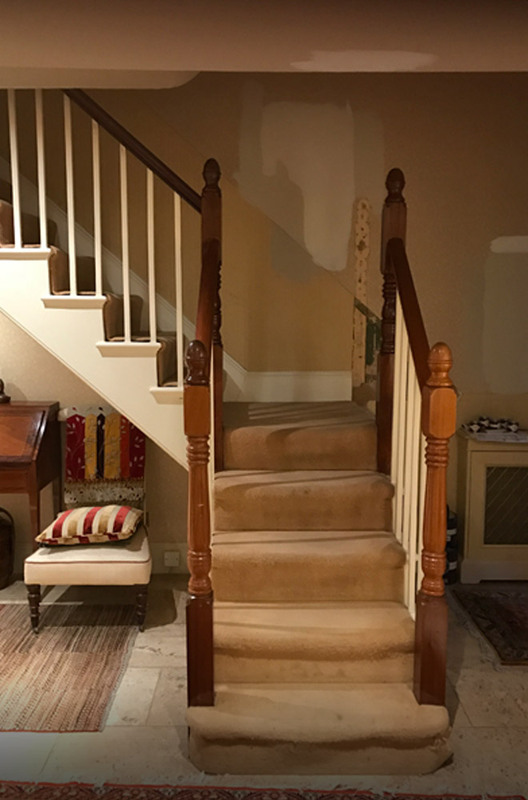 Our before & after stair remodelling and replacement gallery shows the huge difference a new staircase or balustrade can make to your property. From simply replacing outdated timber spindles with a new balustrade, to replacing the whole staircase itself, these transformations speak for themselves. The use of space is as important as the staircase itself. Our designers often suggest alternatives to the way the space is laid out plans. Bisca will worked with your architect to either move the the location of a staircase, or change the layout to make the best use of the space within the flow of the property. This before & after page will be updated with new projects as we get them photographed. 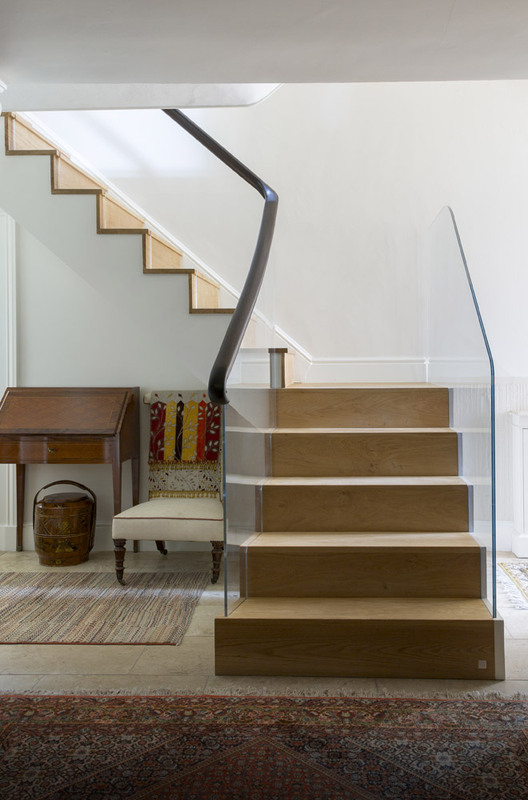 In addition to the added complexity of retaining the existing handrail on the upper flights (way too beautiful to replace), worthy of note with this project was the fact the staircase was ever so slightly off-kilter. Removing the carpet and replacing with oak treads and risers with a slotted glass balustrade has transformed the entrance area. To find out more about this project please mention 6374.